July 18, 2017 By Peter Irlam Leave a Comment / This post may contain affiliate links at no extra cost to you. Please see my full disclosure for more info. According to the ‘Global Burden of Disease’, lower back pain is the single leading cause of disability worldwide. I’ve been a sufferer myself, which is why I thought it high time to write about the 7 best yoga poses for lower back pain. Since embarking on my own yoga journey, the 7 best yoga poses for lower back pain not only cured my condition, but more importantly, helped me to avoid surgery. Back pain is one of the most common reasons employee absence. In fact, lower back pain is the second most common reason for visits to the doctor’s office. Why do we Suffer from Lower Back Pain? Toiling in fields and physical labor, has been replaced by an existence shackled to the chair. It’s precisely this lack of movement and fondness of sitting, which puts a strain on our lower backs. Most of us are completely unaware of the problem until it becomes a real health issue affecting our lives, jobs, family life, health and happiness. The human spine is an anachronism – failing to keep up with our biological evolution. It is still best suited to movement on all fours. Although this post is titled yoga poses for lower back pain, I’d like to briefly highlight why yoga is a cure-all. This is but a glimpse of many, many benefits. It’s also one of the few forms of exercise that tones muscle and burns fat without leaving you exhausted or craving food. The Healing Power the 7 Best Yoga Poses for Lower Back Pain. These yoga poses for lower back pain are also ideal if you’re new to yoga…they’re simple and straightforward. The whole session should only take you between 10 – 15 minutes, but can cure a lifetime of lower back pain. Not only will I reveal to you the BEST yoga poses for lower back pain, but I’ve connected the poses through a flowing sequence of movements (Vinyasa). This provides structure, ensures you rotate through all the poses, and makes it even more fun. Let’s Hop on The Mat and Get Started. Posture check: Begin lying on your back, knees bent, heels close to your buttocks. Consciousness goes a long way. I’d like you to stay focused and mindful throughout. First, take a deep breath and feel the support from the Earth. Next, wrap your hands around your shins and interlace your fingers. Allow the weight of your arms to gently pull your knees up to your chest. If your lower back starts to niggle, place your palms over your knees. Rather than tugging with your arms, allow your shoulders to relax and elbows fall toward the ground. Massaging The Back From Side-to-Side. Try gently rocking your knees from side to side to massage your lower back. Don’t force it…work with your body. Go only as far as it will permit you to go. You may want to pause on one side if you feel the benefits. Keep your eyes closed and be very mindful of the healing process. Listening to what your body is telling you will help you gain a deeper insight into which yoga poses benefit you the most. An effective variation is to draw circles with your palms resting over your knees. Start circling to the right and then switch to circling to the left. Remember to keep breathing. It doesn’t matter when you exhale or inhale but try to find a natural rhythm for your body. When you’re feeling your lower back begin to loosen, keep your feet grounded on the matt and stretch your arms up over your head. Massaging The Back Along Its Length. Next, you’re going to arch your lower back so you could fit your hand underneath. With a slow, gentle rocking motion, use your tummy muscles to gently press your lower back into the mat and return to your arched position. You should feel a pleasant massage from the top of your buttocks all the way up to your lower rib cage. Note: If you feel that your arms are a little uncomfortable, try bending your elbows, drawing them towards your body. When you’re ready, sit up as we move into our next pose. Posture check: Sit cross legged with your hips raised slightly on a folded towel or blanket. Head aligned nicely with the rest of your spine. Palms resting comfortably on your knees. Next, inhale and press your palms into your knees. Extend the crown of your head as if being pulled by an imaginary cord and lift your chest as you inhale. Use your diaphragm muscles to pull oxygen into the lower part of your lungs. As you reach the limit of your breath, lift your shoulders at the very last second which fills the top parts of your lungs. The whole experience is intensely relaxing. Begin to exhale, allowing your chin to lull towards your chest. You’ll notice your back starting to round forward as you stretch the muscles along your spine, gently drawing your tummy inwards. Linger a while and be mindful of the soothing stretch along your back. Next, begin to inhale again, repeating the same process as before. Feel the weight in your arms as if your elbows were being dragged down by little weights. This time, when you exhale, back rounded, chin lolling forward, hold that pose and take a few deep breaths. Feel the stretch along your spine. 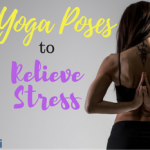 Place your mental focus where you experience pain and allow the healing power of yoga to work. Continue to take long, smooth, deep breaths. Correct breathing patterns are deeply healing. When you’re feeling satisfied, slowly straighten back up and come to all fours on your mat. This is my favourite yoga pose for lower back pain. After trying it for the first ever time, this pose provided instant relief. Take your right leg and lift it gently all the way up into a lunge so that it’s beside your right hand. Next, curl your left toes, walk your left knee back and sink in at your hip to stretch the front of your hips. Really bring your awareness into that frontal hip area. Note: if this is too much for you, try resting your palms on a yoga block or a chunky book. This pose makes for an effective psoas muscle stretch. The psoas is in the loin region and can become stiff due to a lifetime of sitting. All too often this one condition can be the culprit of lower back pain. Focus on your breathing, you might want to lift your left knee and try for a series of ‘pulses’. Coming out of the pose requires a few steps. Come onto your fingertips, send your buttocks back slightly and walk your right foot into the centre line, crossing your right hand over so it’s now on the outside of your foot. Keep sending your hips backwards and rock onto your right heel to achieve a stretch along your right hamstrings. Walk your hands backwards as you go for stability. Your head should be a facing forward and relaxed above your knee. Pause a while and take a couple of deep, slow breaths. When you’re ready, come to all fours and repeat the Lizard and Half Split but this time with your left leg. Once you’ve completed the poses, roll through the left foot so it’s firmly grounded, bring your fingertips to toe level for stability and step your right foot all the way back up to your left foot. Maintaining straight legs makes for an effective hamstring stretch. But I’d like you to keep your knees a little bent. This allows for a greater lower back stretch. Plus, if you’re new to yoga, bending your knees is a more comfortable position. Let your hands and head hang over gently. The goal is not to touch the ground with your hands but to open up your lower back. So don’t be too concerned if your fingertips are hovering a few inches above the Earth. Note: if you’re not sure what to do with your hands, simply grab your elbows. Now, take time to breathe. Expand your lower back on the inhale whilst the exhale allows you to become super-relaxed and limp. To come out of the pose, bend at the knees, bring your hand forward and once again come to all fours. 5. The Supine Spinal Twist. First, spread your fingertips out to your sides so your arms form a ‘T’. Scoop your knees up to your chest once again without using your hands. Don’t force the pose but gently open up your lower back. Flexibility permitting, let your knees gently rock to your left. Rather than keep them tucked into your chest, allow them a little more space, so they form a right angle to your body. Rest your knees against the floor. Keep your gaze upwards, breathe, and once again, place your awareness in the stretch along your lower back and hips. Encourage your right knee upwards by gently guiding it with your left hand. Relax and breathe deeply. Don’t anchor, just let gravity do its job. Gently bring your knees back to centre line and then send it all back over to the right side. Lastly, I’ll give you a couple of options. The Happy Baby is a yoga pose for lower back pain that may not suit everyone. If you’re tending to a severe lower back injury you may want to skip this one. But, if your lower back still feels a little tight you can always give this a try and see if it feels good. Posture Check: First, lie flat on your back with your feet close to your buttocks. Arms resting peacefully by your side or fingertips above your head. Next, lift your knees back up, cross your ankles, and now gently grasp your feet round their outer edges. First, start with a few shallow rocks back and forth. As you build up momentum, rock all the way back onto your shoulders, pulling your feet gently so they finish above your hear. Next, pendulum all the way back to an upright seated position. Take a deep breath and launch into another reverse roll. Repeat this rocking motion, enjoying the massage along the length of your spine and your back muscles. But as I’ve mentioned, if you are feeling a little sensitive, please skip this movement for now. You can always return to it once your lower back begins to improve from the other poses. Well done! 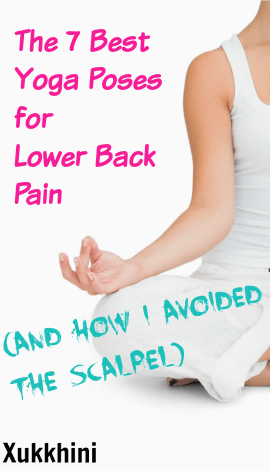 I hope that you found the 7 best yoga poses for lower back pain useful? Finish off your routine with the insanely relaxing child pose. By the end, of this session, you should already begin to feel the pain melting away. You can now face the world refreshed, relaxed and recharged. Honour your body. Find what feels good for YOU. Avoid anything that makes tweaks your lower back. Remember the importance of correct breathing patterns throughout. Take long, slow, deep breaths. Don’t rush. Enjoy this time. This is YOUR time. Enjoy the whole experience. Maintain focus and mindfulness. Teach yourself to gain a deeper appreciation of your body. What works for you and what doesn’t work. If you’re just beginning you may find you can’t do some of the moves yet. That’s totally fine. When I started yoga it highlighted just how inflexible and stiff I’d become. Anything worthwhile takes a little time. Practice, practice, practice. You reap what you sow. Schedule a specific time in the day for your yoga. Otherwise, it’s easy to miss a day, then another. Before you realize, a week has passed since you last took time to do anything kind for yourself. Do you know someone who suffers from back pain? Please share this post if you found these yoga poses for lower back pain useful. If you’re really serious about improving your health with yoga and want a simple yoga strategy you can use in the comfort of your own home, then I highly recommend Zoe Bray-Cotton’s Yoga Burn for Women. In fact, Zoe is so sure that you’ll love the results from Yoga Burn for Women that she offers a full, 60-day, no-questions-asked money back guarantee in the unlikely event that you’re not delighted with your results. Not only do you get this RISK FREE money back guarantee, but if you act now, you’ll receive Zoe’s Limited Time Price Offer and access to her weekly BONUS videos designed to improve your overall experience and results with Yoga Burn for Women. In this program, you’ll learn the secret to Yoga Burn for Women’s success – a technique known as Dynamic Sequencing. This strategy forces your body to adapt, giving you a more shapely, feminine body that looks great. 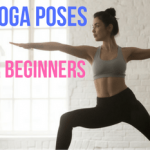 What’s more, Yoga Burn for Women is designed exclusively for women from any walk of life who want to lose weight and get in shape, without trekking to the gym and spending countless hours performing fruitless cardio. The program is specifically tailored to suit women of all fitness levels from the very new to advanced yoga students. You’ll also learn how to optimize each pose to take advantage of your very own fitness levels. Check out Yoga Burn for Women here! 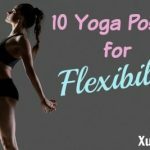 10 Yoga Poses for Flexibility. 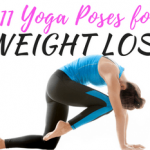 11 Yoga Poses for Weight Loss.